Metadata (the electronically stored data in digital photographs and recordings) has become an increasingly important source of information for attorneys. 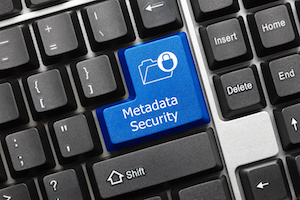 Expert witnesses who understand metadata are frequently called upon to explain the hidden properties of digital data to courts and administrative agencies. An administrative appeal in New Jersey addressed metadata (or its absence) in audio recordings. The digital recordings were only admissible if they were authentic — that is, if they were genuine and unaltered copies of the original digital recordings. The question before the agency was whether the failure to reproduce metadata in the original recordings precludes the admission of copies into evidence. The New Jersey Department of Banking and Insurance began an enforcement proceeding against John Savadjian alleging eight violations of New Jersey insurance regulations. The allegations involved transfers of life insurance policies to new company representatives without the policyholder’s knowledge or consent. The Department also alleged that Savadjian forged a number of insurance documents. The Department later amended its charges to allege that Savadjian impersonated other people when contacting Prudential Insurance for the purpose of obtaining policyholder information that he used to transfer accounts to his son without the policyholders’ knowledge. Prudential has a computerized system that automatically records telephone calls. Prudential supplied the Department with a spreadsheet identifying the dates and times of the calls allegedly made by Savadjian. Digital copies of the calls were embedded in the spreadsheet. Savadjian asked Prudential for copies of the recordings with their original metadata. The metadata on the recordings that were copied to the spreadsheet showed only the dates on which the recordings were downloaded from Prudential’s system, not the dates on which the recordings were made. Prudential refused to produce the original recordings and the Department moved forward without obtaining them. Evidence offered as an exhibit must be authenticated — that is, it must be shown to be what it purports to be. Under New Jersey law, audio recordings must be authenticated by proving (among other requirements) that the recordings accurately reproduced the recorded conversation and that the recordings were not subsequently altered. Audio recordings are usually authenticated by the person who made the recording. That person can testify that he or she participated in the recorded conversation and that the recording of that conversation is accurate and unchanged. In this case, the recording was made by a computer, not by a person. The Department did not rely on testimony of the various Prudential employees who participated in the conversations to authenticate them. Instead, it planned to call the Director of Prudential’s Criminal Investigation Division, who listened to the original recordings and prepared the spreadsheet. However, Prudential fired the Director ten days before the hearing. The Department called a different employee of Prudential, Charles Shanley, to provide the authentication testimony. Shanley testified that he listened to each original recording and compared them to the recordings on the spreadsheet to assure that the spreadsheet contained authentic copies. After considering an expert opinion about metadata in the recordings, the ALJ was not satisfied that the recordings were authenticated. The ALJ therefore declined to admit the recordings as evidence. The Department appealed that ruling to the Commissioner of the Department. On appeal, the Commissioner concluded that Shanley’s testimony established that the copies of the recordings embedded in the spreadsheet were identical to the recordings that existed on the date the spreadsheet was created. Shanley’s testimony that he compared the originals to the copies was sufficient to satisfy that aspect of authentication. More problematic was the necessity of proving that the recordings that were copied to the spreadsheet were unaltered and accurately captured the conversations between the caller and the Prudential employees. Savadjian relied on the opinion of digital forensics expert Tino Kyprianou to cast doubt on the recordings’ authenticity. Kyprianou pointed out that the metadata attached to the original recordings was missing from the copies embedded in the spreadsheet. He regarded the failure to supply the metadata as a “deletion” of data and concluded that the files embedded in the spreadsheet were altered in a way that compromised or destroyed their original properties. In addition, the user manual for the recording system indicates that recordings captured by the software can be modified. Suspicion that the original recordings were altered may have been fostered by Prudential’s refusal to produce the original recordings, including their metadata, in their native format. On appeal, the Commissioner focused on the audio content of the recordings rather than the metadata. While the ALJ was concerned that the missing metadata raised concerns about the trustworthiness of the original recordings, the Commissioner noted that the burden of authenticating evidence is rather low. In the absence of any evidence that the voice recordings (as opposed to the metadata) were altered in any way, the Commissioner was satisfied that the identical copies (except for the metadata) were sufficiently authenticated by Shanley’s testimony. While not rejecting the expert’s testimony that the copies did not contain the metadata present in the original recordings, the evidence that needed to be authenticated was the recordings of the conversations, not the metadata. The Commissioner accordingly ruled that the ALJ should have admitted the spreadsheets containing the recordings.